Think outside the box and see if you can escape from a locked room within 60-minutes! Discover clues, solve puzzles and leave no stone unturned as you and your team try to stop the laboratory from exploding in this fun and challenging escape room! 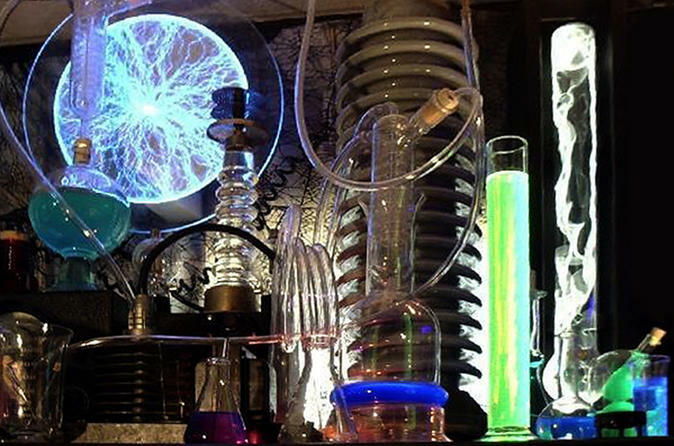 You find yourself in a secret lab full of strange inventions. A crazy professor has been conducting mysterious experiments and discovered something that could change the world. What exactly are you looking for...? No time to think about it! You have 60 minutes to navigate your way through the puzzling track in the laboratory before the self-destruction mechanism detonates. You better hurry! You must work together with fellow players to crack codes and find clues that will help you escape in under 60 minutes. Each room scenario has a different, intricate plot and immersive design that will ignite your imagination. Once inside our room, you’ll have one hour to solve all the puzzles and escape. Along the way, if your group is stuck and needs a hint, the staff will give you a nudge in the right direction. The rest is up to you! After your game is over, you will be escorted back to the lobby for a group photo and to check your time.